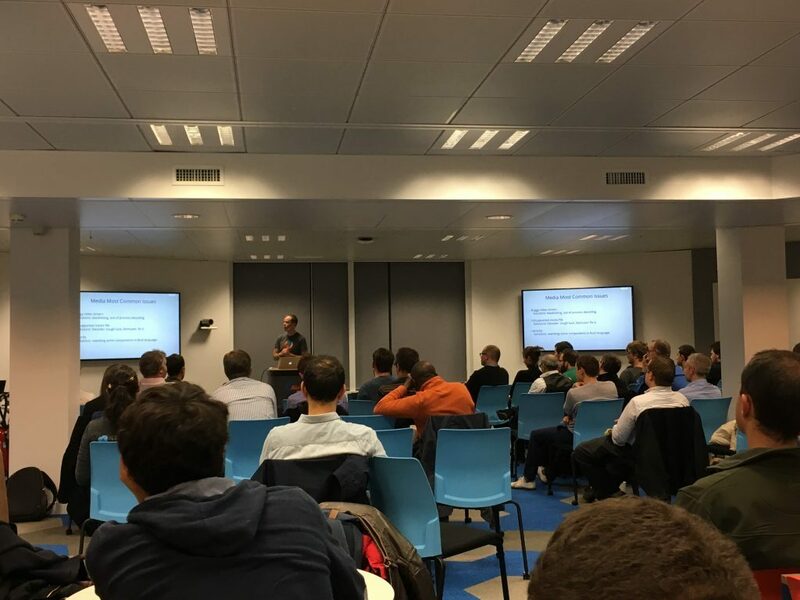 Thanks to all of those who came out to our October edition of Paris Video Tech! This second event was a huge success and a great step towards making Paris Video Tech an international event. Teaming up with the Demuxed conference, we were able to live stream the keynote directly from San Francisco for our audiences in Paris, and of course also had our own special guest come all the way from Australia to take us behind the scenes of Firefox! A big thanks again to Akamai for hosting and for NPAW for drinks – we had a great evening! For those who could not be with us, you can of course still watch the talks on our Dailymotion channel (powered by Streamroot P2P, of course 😉 ). Mark your calendars: our next edition will be held in January. Don’t hesitate to send us presentation ideas! As the last two events dealt a lot with browsers, players and QoS, we’d love to see topics encoding/packaging, delivery or VR for our next event! And finally, as we mentioned in the meetup, we’re actively working with Demuxed and other regional video tech meetups across the globe to bring you awesome presentations and a like-minded tech community wherever you may find yourself! Check back for more information and join our community of video engineers for awesome technical talks throughout the year!